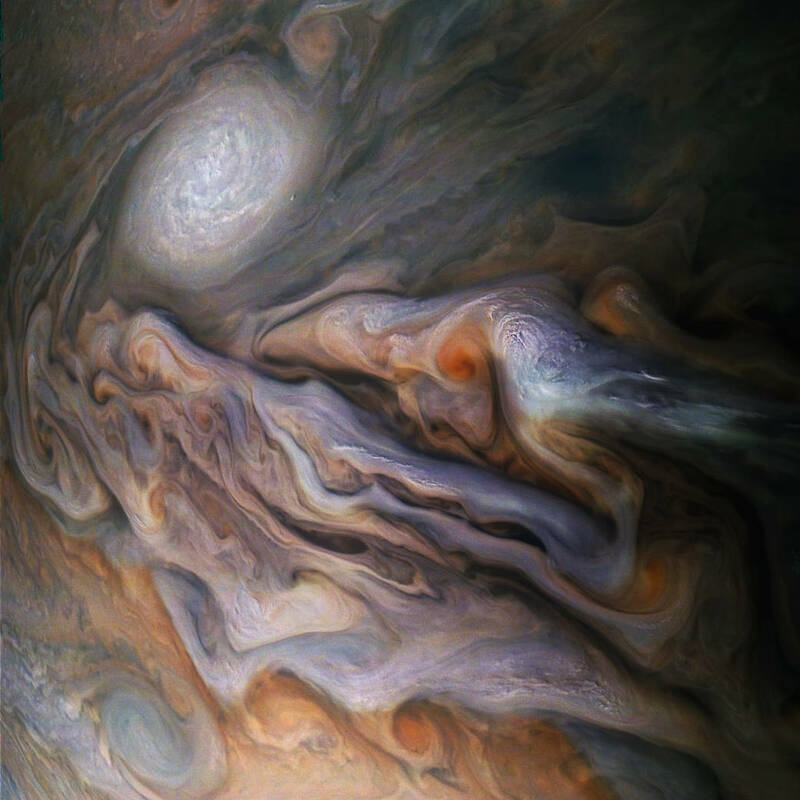 multitude of magnificent, swirling clouds in Jupiter's dynamic North North Temperate Belt is captured in this image from NASA's Juno spacecraft. Appearing in the scene are several bright-white “pop-up” clouds as well as an anticyclonic storm, known as a white oval. The perspective begins about 2,000 miles (3,000 kilometers) above the cloud tops of the planet's southern hemisphere. The bar at far left indicates altitude during the quick descent; a second gauge next to that depicts the dramatic increase in temperature that occurs as the perspective dives deeper down. The clouds turn crimson as the perspective passes through the Great Red Spot. Finally, the view ascends out of the spot. » Jovian planets at HD 96167. Another confirmation of HD 16175 b.